When I started piecing this recipe together, the first thing I did was Google a few of the ingredients. I often work with an idea and not a formalized recipe, but I still feel better working at least from a similar recipe to assure I’ve got reasonable proportions and the right cooking times. I was surprised to find in the results that there was nothing really similar to what I was thinking of making. 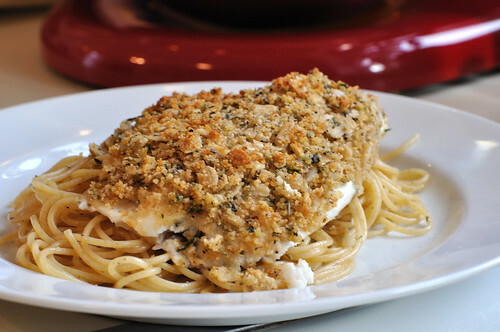 Sure, there are oodles of “crusted” and “baked fish” recipes, however nothing remotely close. 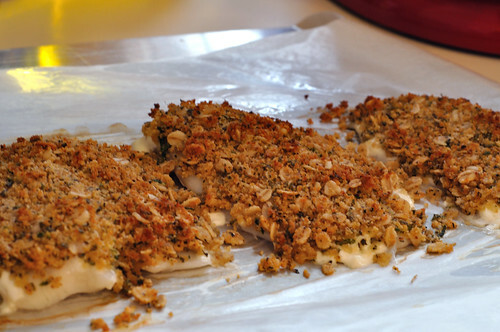 I’d been dreaming of developing an oatmeal crusted baked fish recipe for some time. Baked fish is extremely easy, and although it takes longer to bake than fry, the flavor is far better (I’m not a fan of fried foods) and it is much better for you. 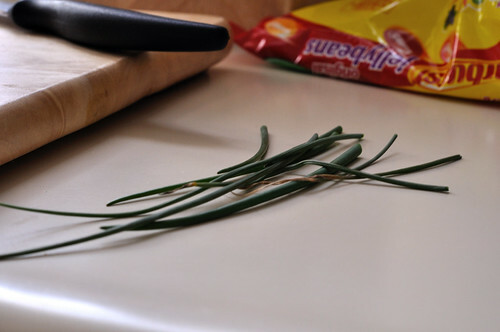 Fresh chives from the garden! 2. Line baking sheet with parchment paper or silicone liner. Defrost/rinse fish and pat dry. 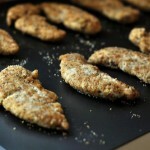 Place fish fillets on baking sheet. 3. 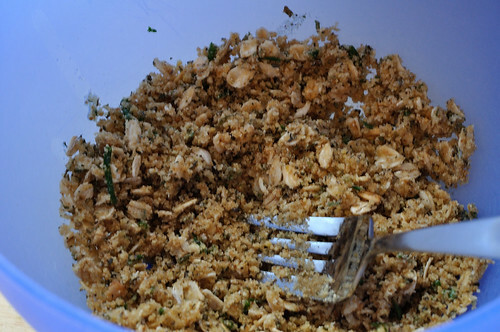 In a bowl, mix together oats, bread crumbs, grated Parmesan, chives, parsley and salt and pepper. Mix thoroughly. In a separate bowl measure out mayonnaise before adding lemon rind and juice. Stir. 4. Brush tops of fish with mayonnaise. 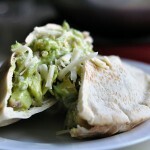 You may feel the desire to scrimp on the mayo or feel anxious about how the texture will bake. Don’t and don’t be! The mayo melds with the coating of dry materials and thickens, creating a creamy texture. It barely tasted of mayo. Don’t go overboard with the mayo, but don’t underestimate it’s role in the success of this dish. If you’re not a fan of mayonnaise, I’ve read the sour cream and/or plain-flavored yogurt are excellent substitutions. 5. 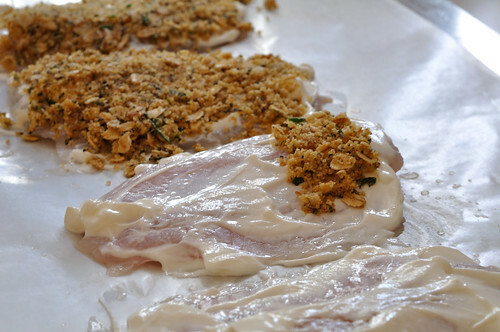 Bake for 15-20 minutes or until fish flakes when forked. 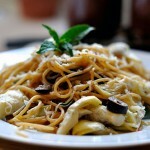 Serve over the pasta of your choice or with vegetables. We opted for a simple lemon-olive oil pasta. 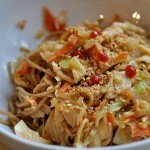 This was very light and easy to make, and it still tastes great the day after. If I were to change anything for next time, I’d bring out the flavor of the understated oatmeal with some honey or brown sugar mixed into the coating. 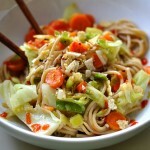 I think it would also be phenomenal with a pesto or a creamy alfredo. OOoo, that looks really good! I love tilapia and I have some in the freezer right now. 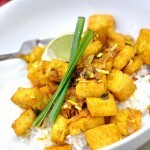 Maybe I’ll have to make this later on in the week. Thanks for the recipe! I have a giveaway going on right now for a $40 gift card to CSN Stores. Stop by if you have a second! 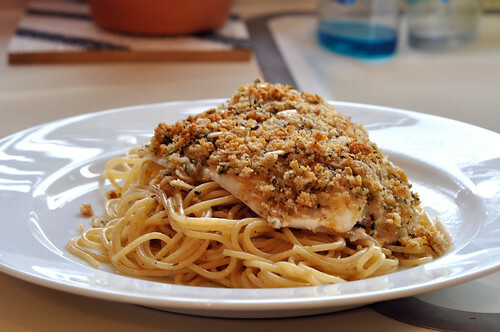 I love the idea of crusting the fish with oatmeal! Yummy and healthy! You definitely shouldn’t scimp on the mayo! I just made this tonight for dinner and was afraid of spreading too much and having it overpower the fish; the oats didn’t absorb enough moisture therefore making it taste dry and very “oaty”. The fish was good though, and I accompanied the fish with some pasta in a light alfredo sauce. Yum. I made this for dinner last night. Delicious!!! I served it over fettuccine with alfredo sauce. We loved it.